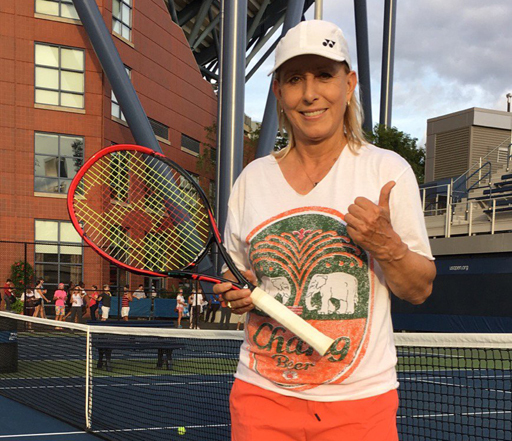 For almost 40 years, tennis legend Martina Navratilova has been a vocal champion for human rights and the LGBTQ community. But recently, the 18-time Grand Slam champ made a rare misstep as she took to Twitter to complain about transgender athletes in sports. 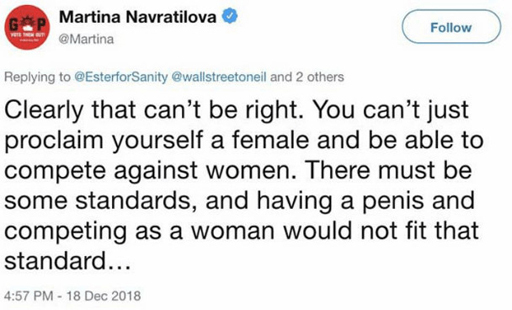 Navratilova's remarks drew quick condemnation from trans activists, and the tennis icon quickly deleted her tweet. Even after the deletion, though, the criticism continued. Dr Rachel McKinnon, who won a women's event at the UCI Masters track world championships, wasn’t satisfied. A Canadian cyclist and transgender activist, McKinnon was identified as male before transitioning in her 20s. Her win at the Los Angeles event this past October sparked controversy. As Cyd Zeigler at Outsports notes, several sporting organizations have addressed the issue of trans-inclusion to give trans women the opportunity to compete as women without having gender-reassignment surgery. The International Olympic Committee made that shift three years ago, and he NCAA has had such a policy since 2011. Navratilova eventually stepped back after Renee Richards, a pioneer in transgender athletes, weighed in. There's no doubt in my mind Navratilova had zero bad intentions when she shared that tweet. I do think it's telling of a champion that she publicly admitted to stepping back and committed to educating herself on the issue. Rachel- you might be an expert on all things trans, but you are one nasty human being. Attack attack attack. I will not take it from you. Not blocking you but enough already.